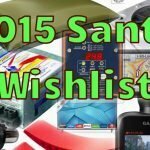 Every year I put together a little Christmas RV wishlist for Santa. Over the years I must have been a good boy as a great many items have been stroked off the list. 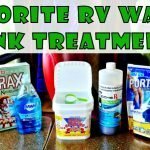 You would think after full-time RVing this long I’d have everything I could possibly want by now. Not true! Haha. 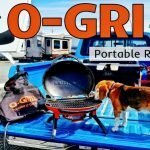 The neat thing about RVing for a gadget geek like me is there are always shiny new things I want to have. Christmas and birthday time is when I get those not necessarily need to have things, but really want to have stuff. Here are this year’s top five. Are you listening Mrs. Claus? 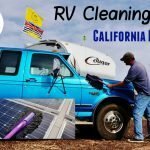 Last winter an RVer friend of mine showed me his new VIAIR 450P-RV 12 volt air compressor kit. Ever since I saw it, I’ve been pining for one of my own. It would make a terrific upgrade to my old cheap Slime 12-volt tire inflator I’ve been using for a decade now. 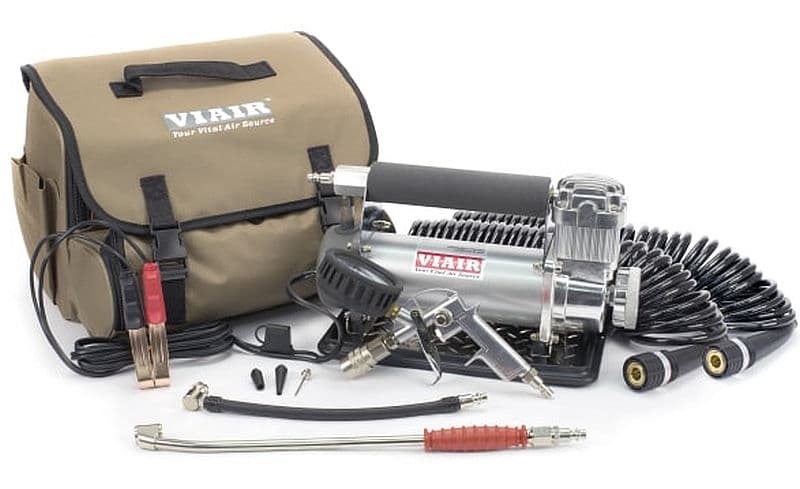 The VIAIR unit will inflate the tire much faster. Its able to run continuously for 40 minutes without a break. I’m hoping this compressor inflates much quicker and is quieter than my cheap compressor. With four trailers tires and six truck tires topping them up can take a while. As my number one request, I’m cautiously optimistic this will be under the tree Christmas morning. If so, expect a full review. 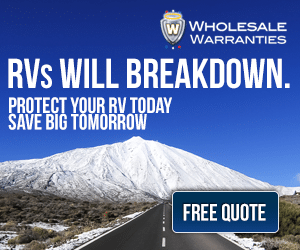 Our RV entrance door lock is getting a little tired, and we are still using the original OEM key, which means many other RVers have the same key and can easily open our rig. 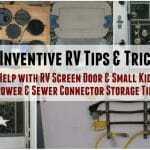 I’d love to install the RV Lock Keyless system giving us much-improved security and multiple ways to unlock the RV door. It comes with three unlocking options. 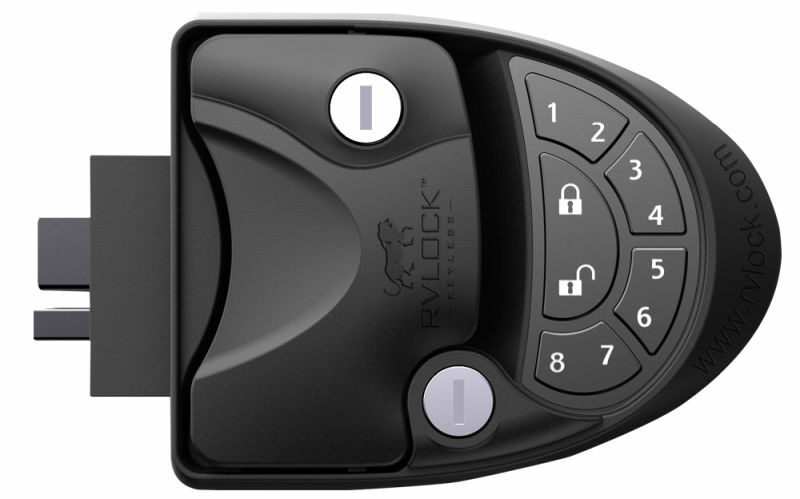 A remote fob, numbered combination lock or just in case a traditional key. So many times I’ve had an armload and had to fumble in my pocket for my keys. Would be nice just to punch a code. Also helpful if we forget our key, no more crawling into the basement storage and up through the laundry trap door. Been there done that. 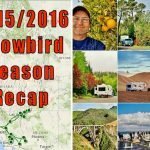 UPDATE – I got the RV Lock for Christmas! You can see my install and review post here. 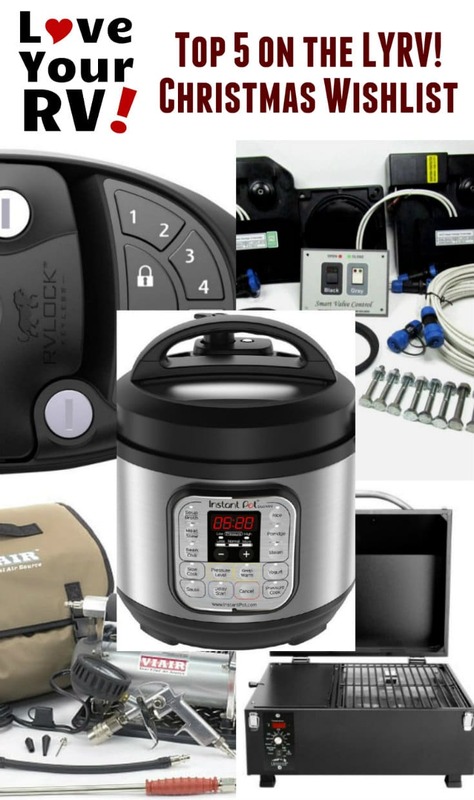 I’ve heard about this Instant Pot thing more and more lately. 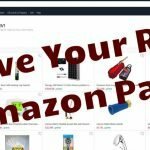 I also see it often on my Amazon affiliate sales listings. Curiosity and seeing great reviews has gotten the better of me, and I want one. I’m the chief chef in our RV household. This little unit, if it works as advertised, should help consolidate multiple appliances into one. 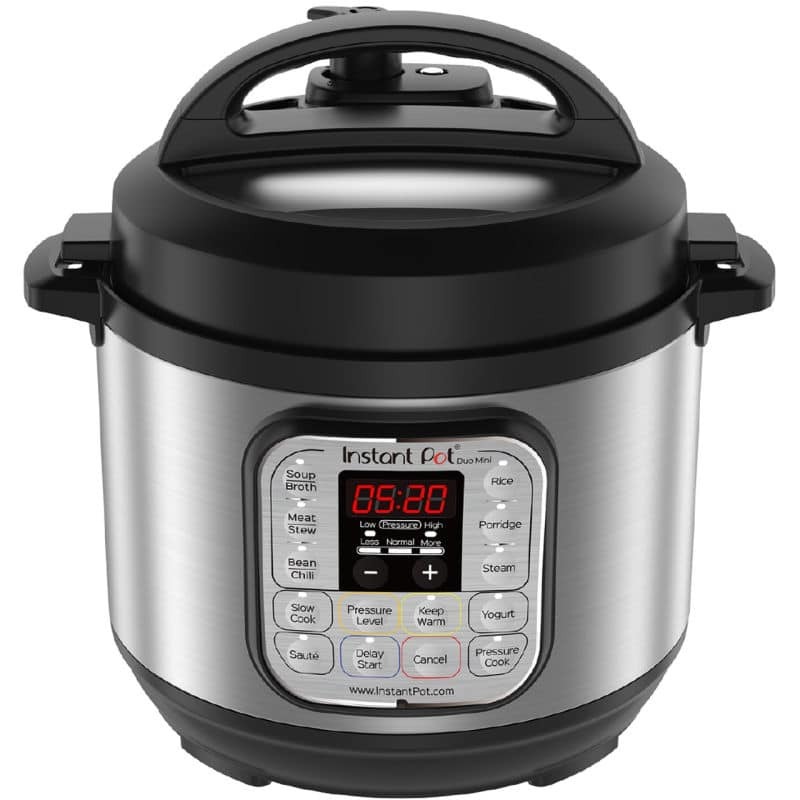 Instant Pot® Duo 7-In-1 Multi-Use Programmable Cooker replaces seven kitchen appliances – Pressure Cooker, Slow Cooker, Rice Cooker, Steam, Sauté/Searing, Yogurt Maker & Warmer. It’s programmable, saves energy and best of all designed by Canadians! 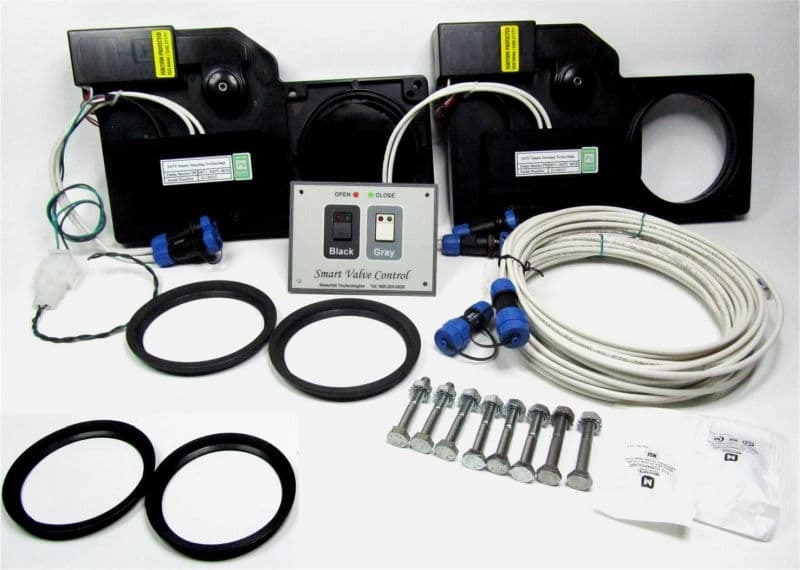 Ever since I upgraded my RV sewer hose to the WasteMaster system always connected option, I’ve wanted to complete it with the addition of a set of electric waste valves. No more pulling on mechanical rods and levers. Instead, dump the tank with a push of a button, so cool! The Drain Master Pro electric valves are relatively expensive, but I’ve seen them demoed in person. They appeared to be a quality product meant to last. Last winter I had the pleasure to eat a steak cooked on a Traeger PTG Electric Smoker. 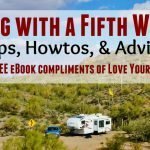 An RVing couple we met at Rock Hound State Park in New Mexico invited us over for dinner. 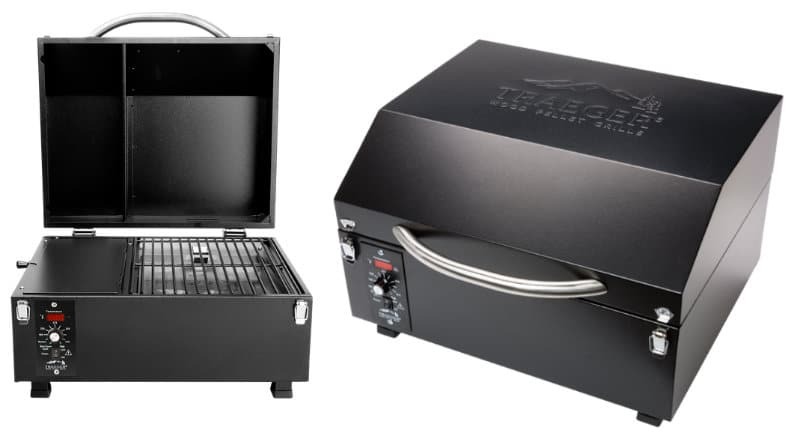 The steaks he cooked with this little smoker were mouthwatering and tender with a terrific smoky flavor. Ever since then I’ve wanted one for our summer months spent on full hookups in (Salmon Captial of the World) Campbell River, BC. I can only imagine what a fresh caught wild Pacific salmon would taste like, yumm. A bonus is the small size of just 13″ tall it can comfortably fit in my fifth wheels basement storage area.